Consul-General Gerbert Kunst paid a working visit to the Water Campus. The Consul General is the head of the Consulate General and the official representative towards the outside. He represents the Kingdom of the Netherlands in the 13 western states of the USA. 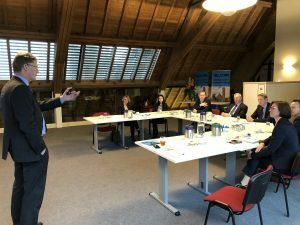 Accompanied by Tjisse Stelpstra (deputy of the province of Drenthe), Sander de Rouwe (deputy of the province of Fryslân), Nienke Nijp (Management advisor Mr. De Rouwe), Johan Scholte (EU coordinator Drenthe) and Karlijn van Bree (Public Affairs SNN) , Kunst arrived at the WaterCampus Business Center Johannes the Doper for a presentation on the WaterCampus, given by Hein Molenkamp. After this presentation, a conversation followed about the chances and possibilities in California concerning water purification (drinking and waste water) and water reuse. The following regions and coree topics were discussed. The West Coast of the US offers good opportunities for Dutch water technology companies. 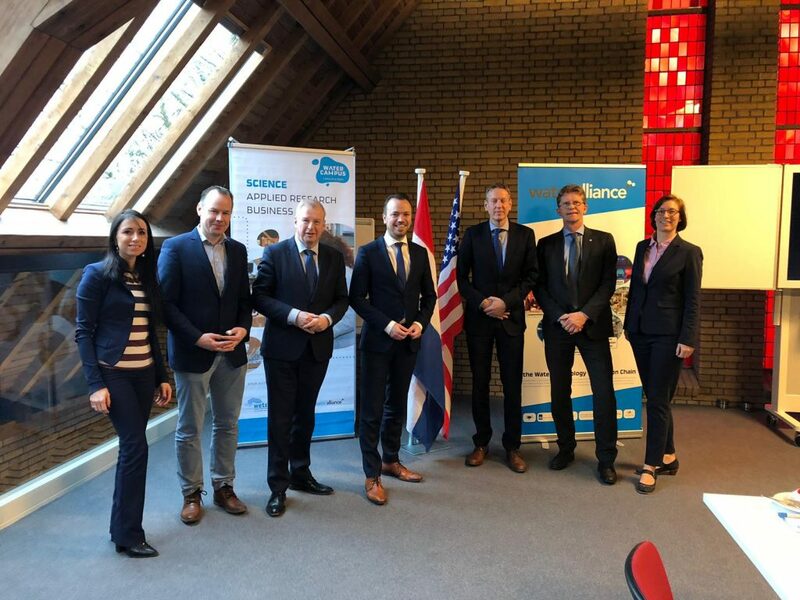 During the presentation, Molenkamp gave diverse examples of Dutch companies that are already successfully active in the region, such as DMT Environmental Technology, Paques and Wafilin Systems B.V. Water Alliance also has close acquaintances with various water clusters such as The Maritime Alliance in San Diego and WaterStart in Las Vegas. 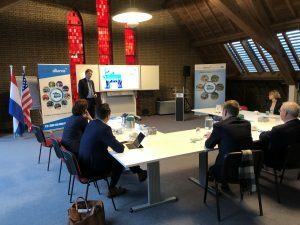 The working visit is closed with a guided tour to the Water Campus, in which the Water Alliance, the WAC and the Wetsus laboratories are located.